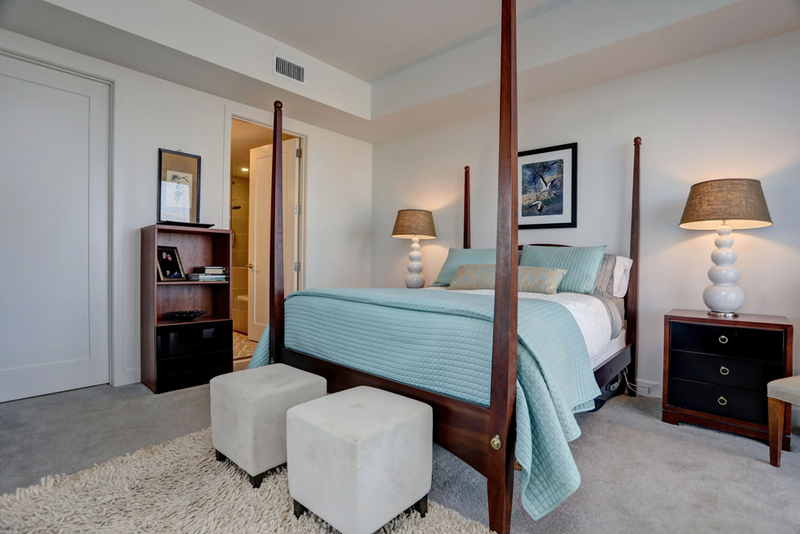 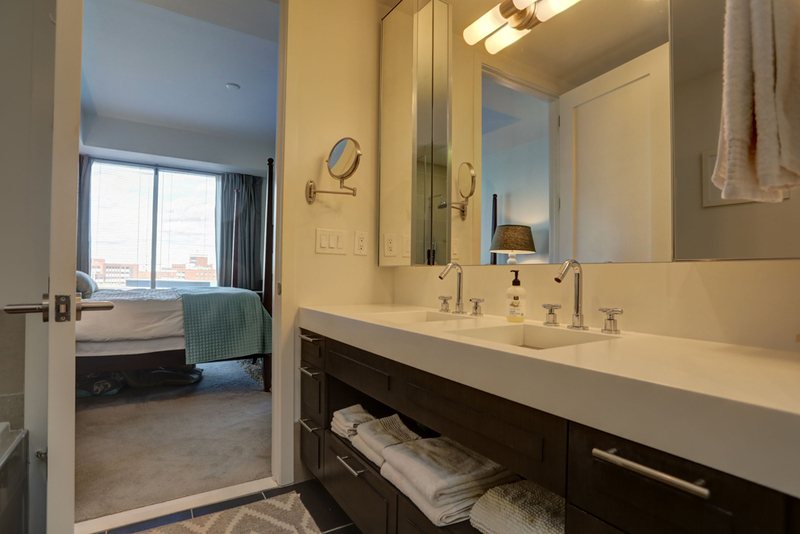 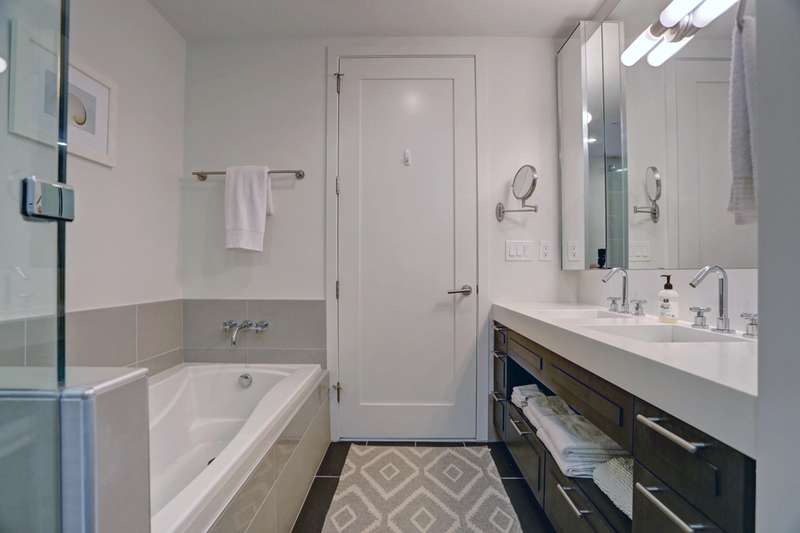 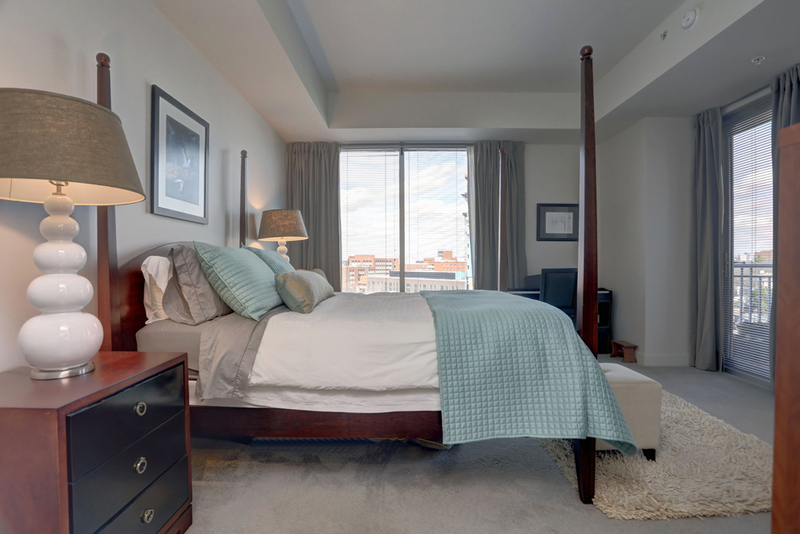 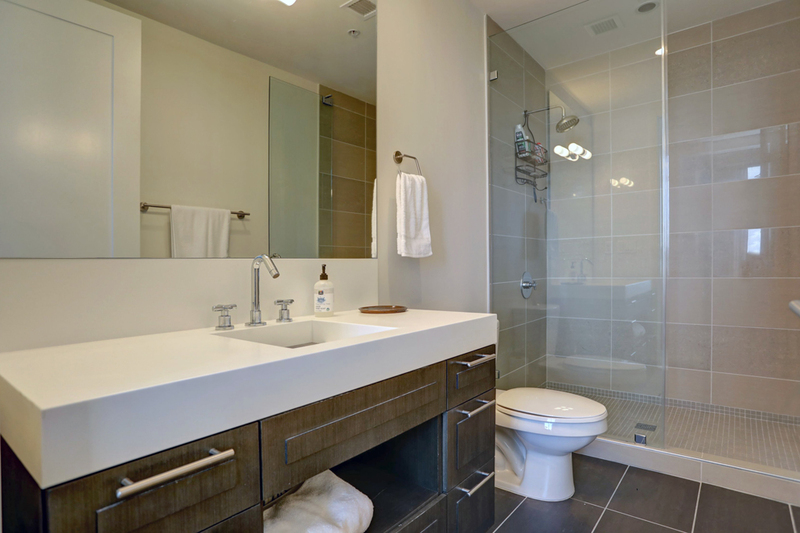 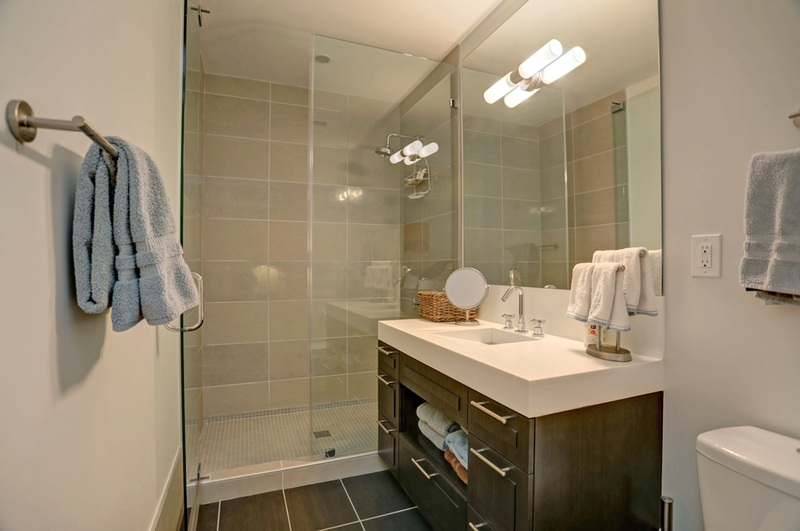 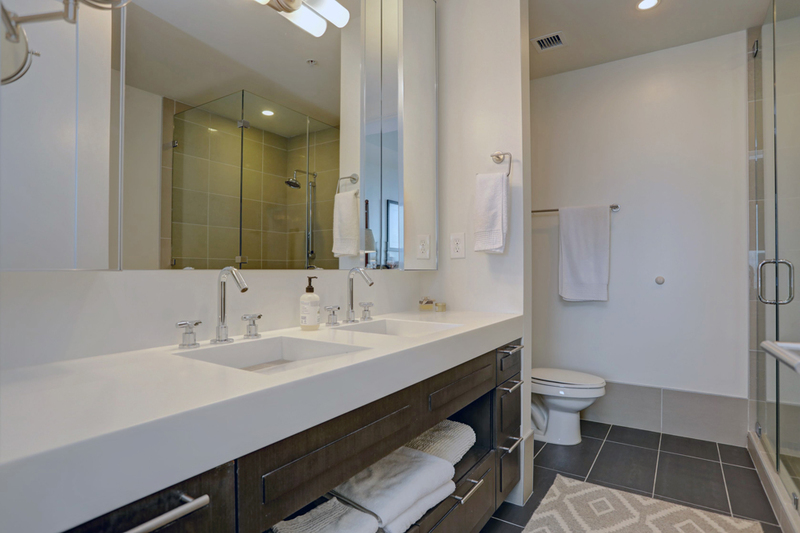 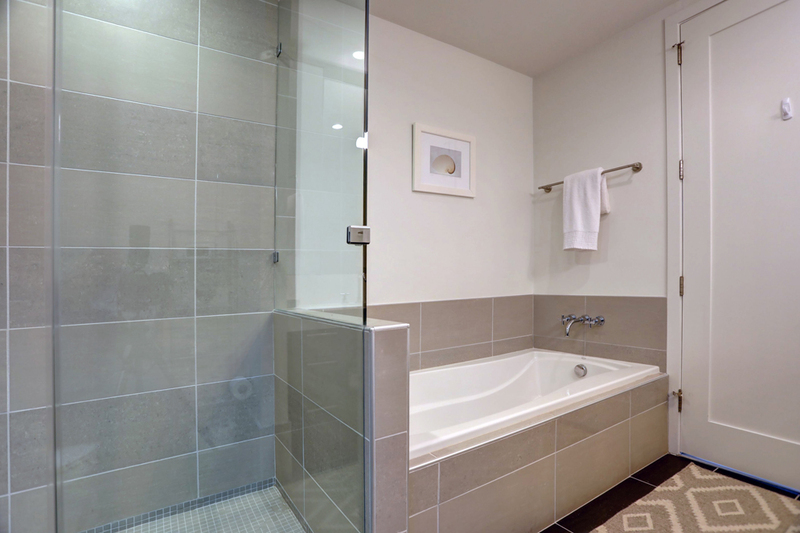 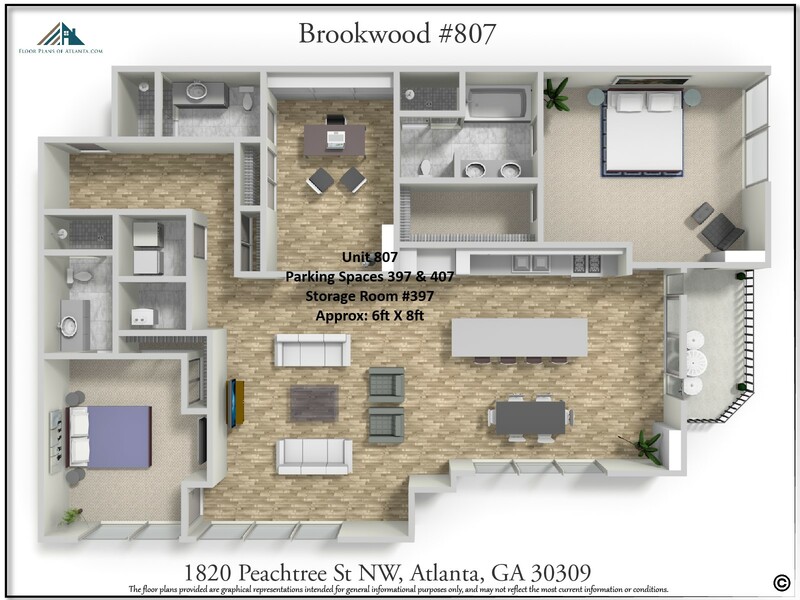 This unit comes with a great floor plan and features three bedrooms plus three full bathrooms. 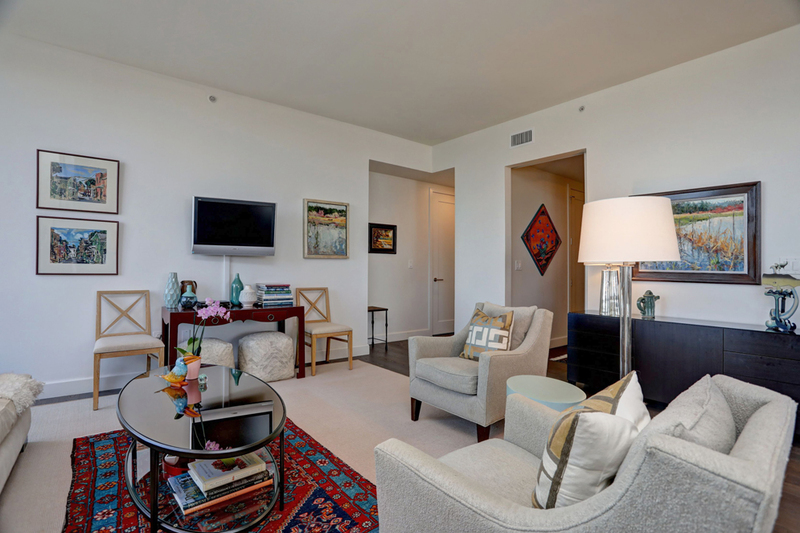 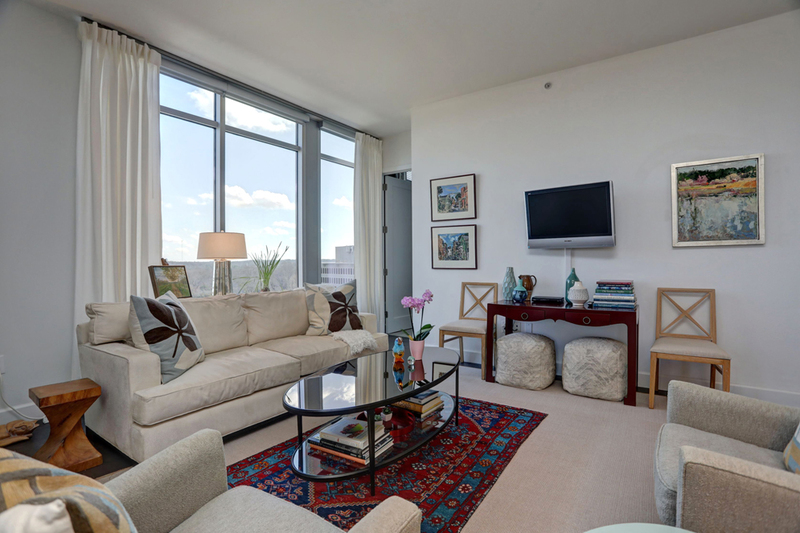 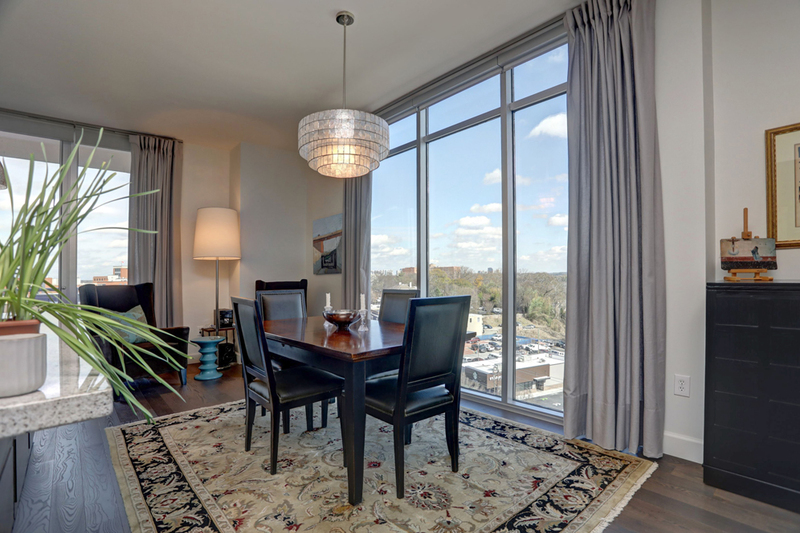 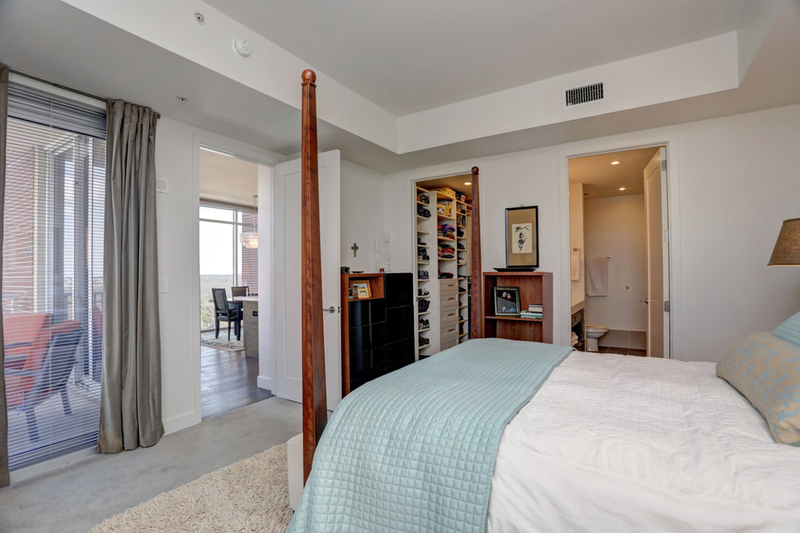 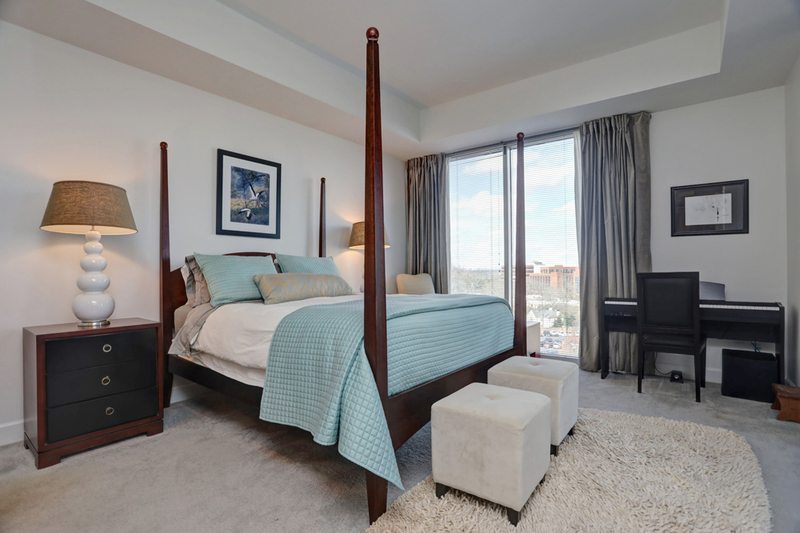 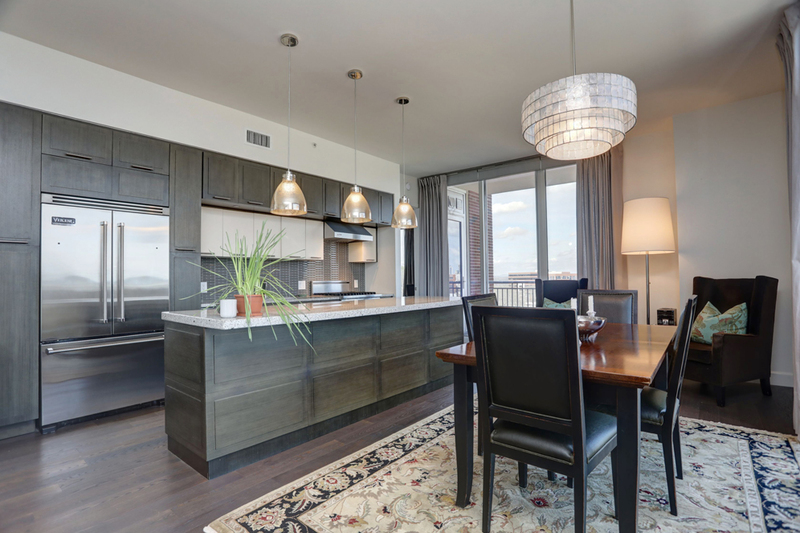 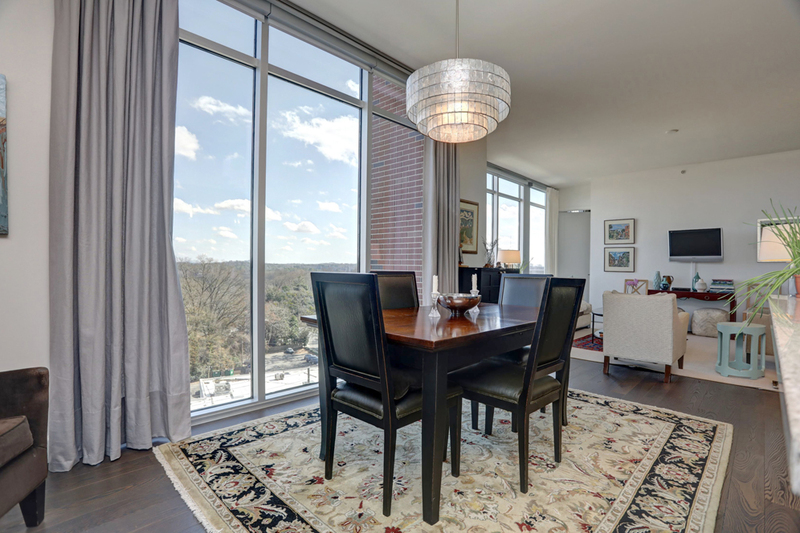 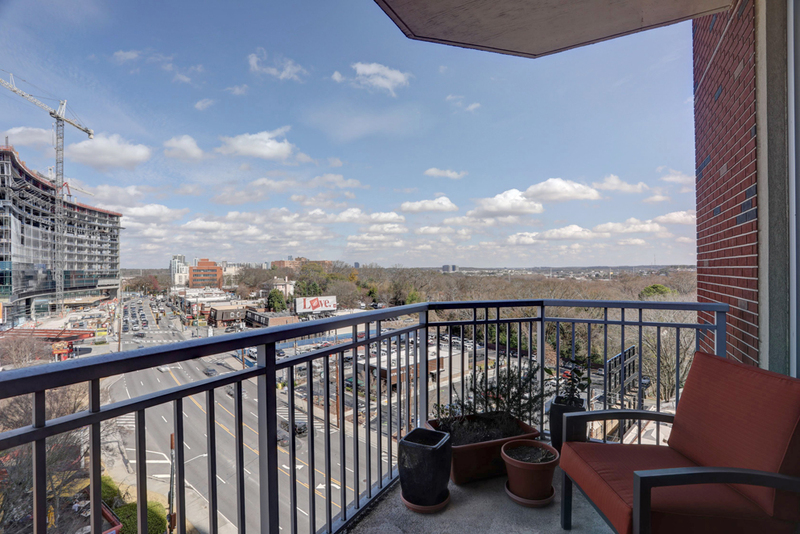 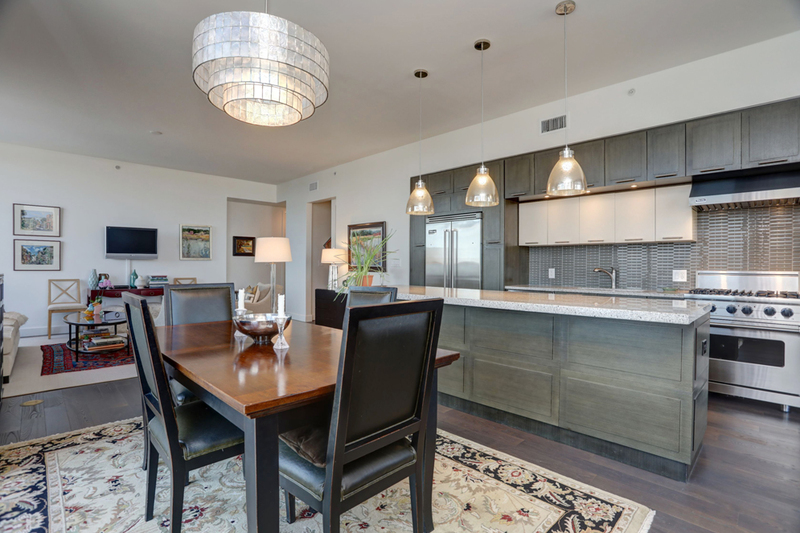 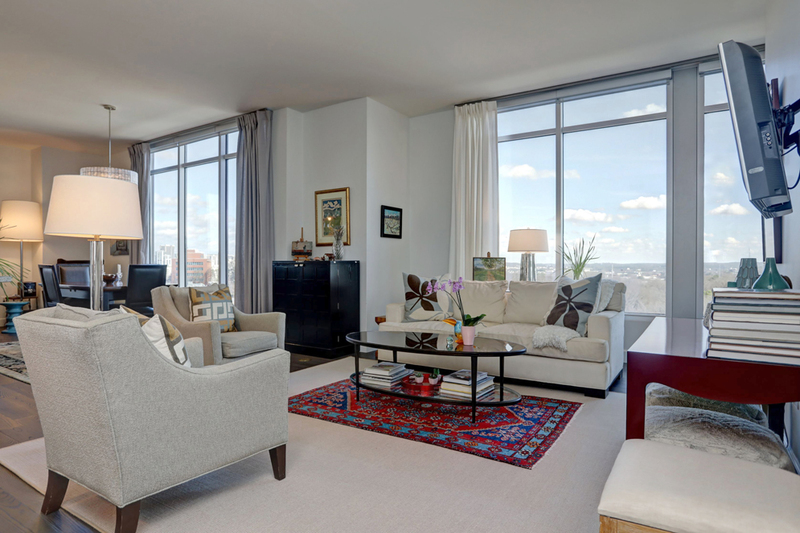 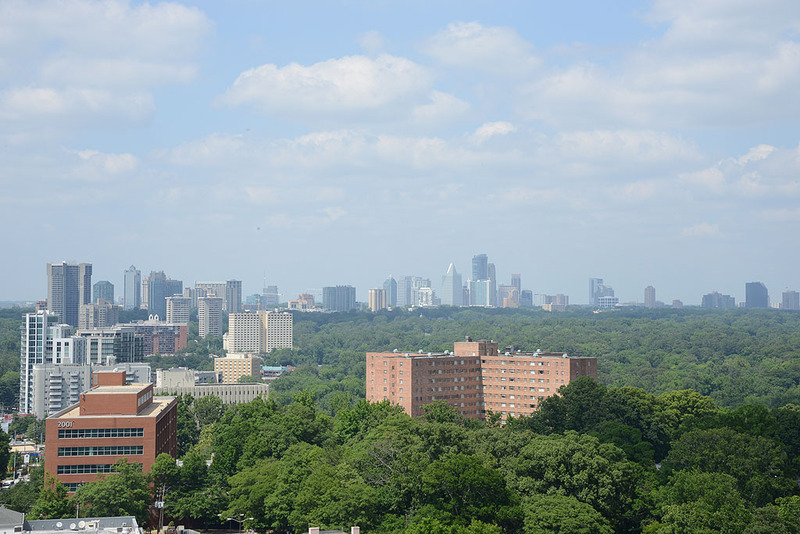 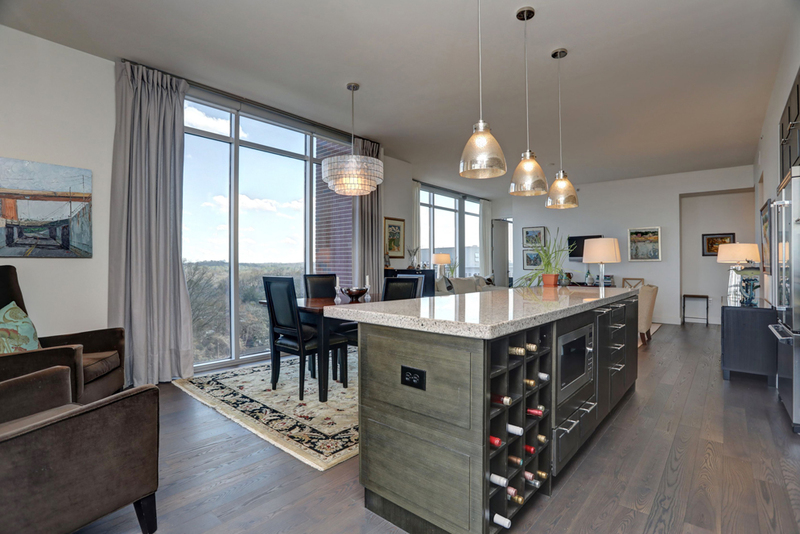 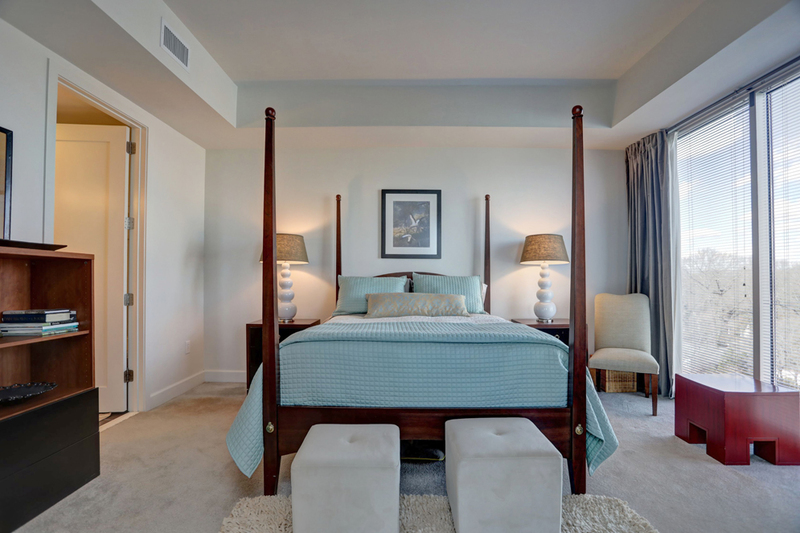 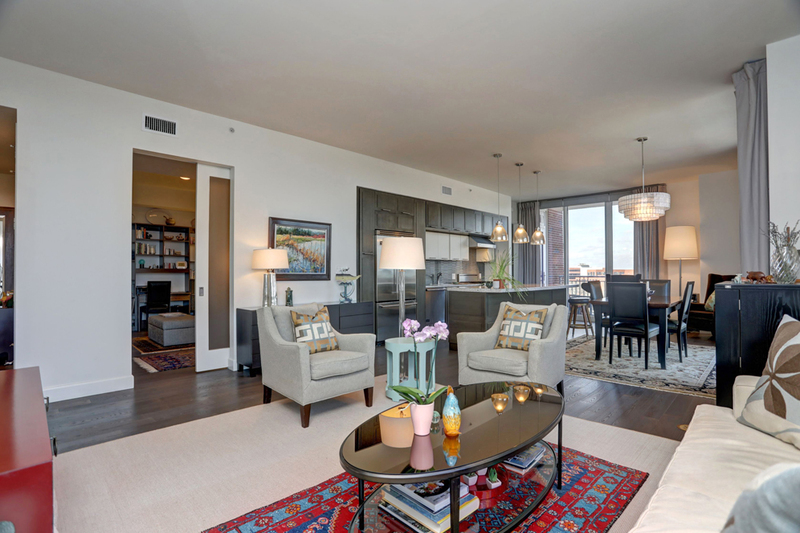 It is a corner unit with an open floor plan with sweeping northern views towards the Buckhead skyline as well as eastern views over towards Stone Mountain. 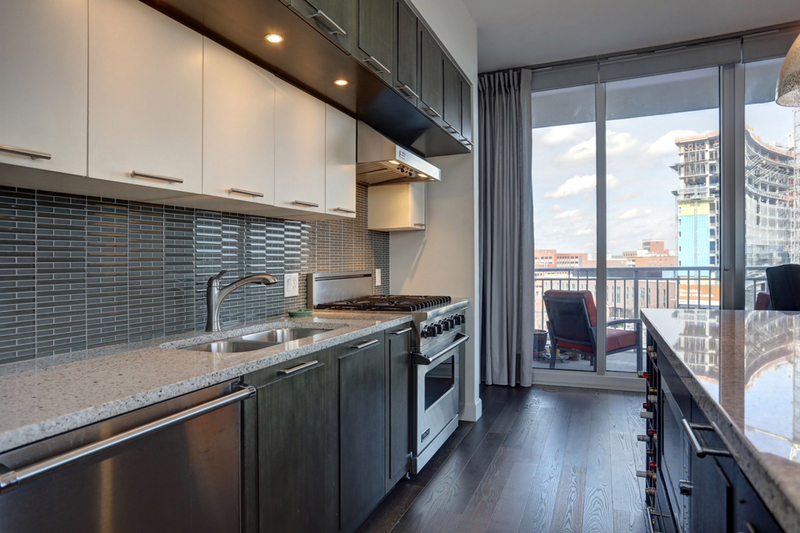 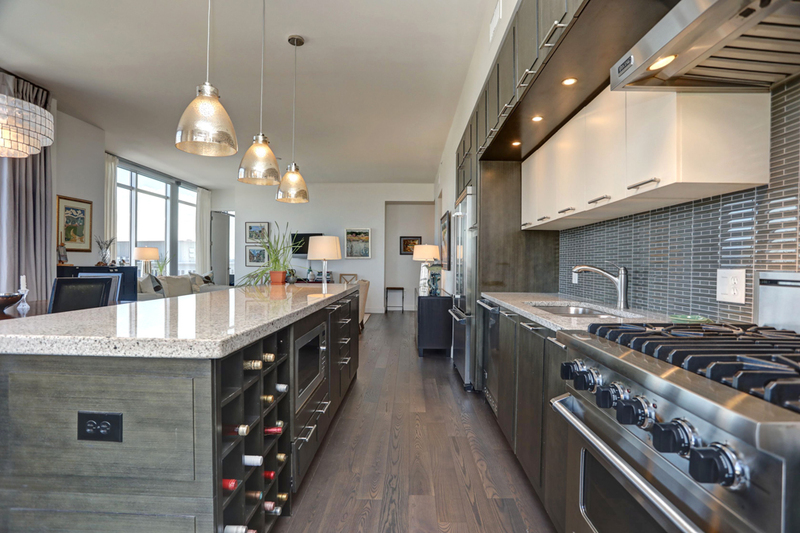 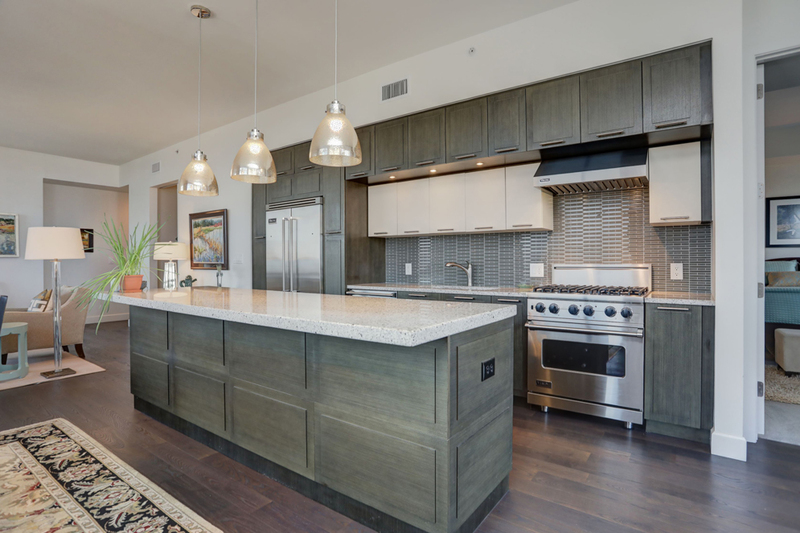 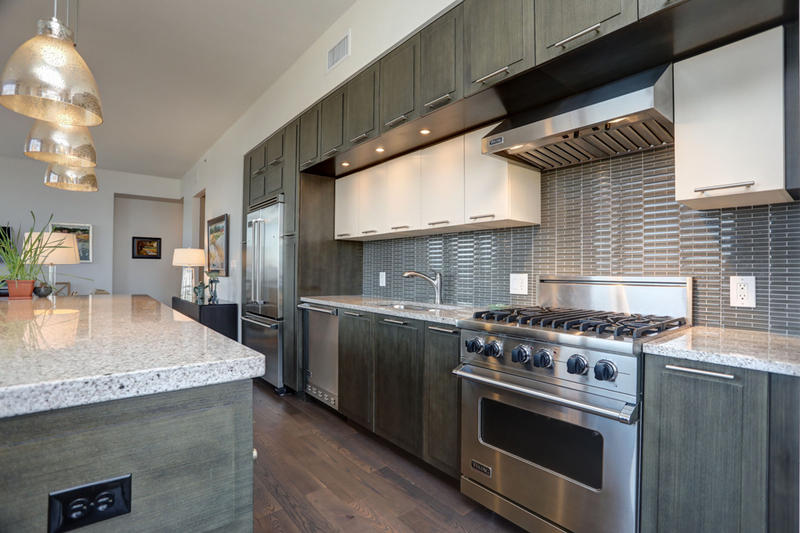 There is a kitchen that cooks will enjoy with Viking, stainless steel appliances, customized pull-out drawers with ample storage and an island/breakfast bar with custom pendant lighting. 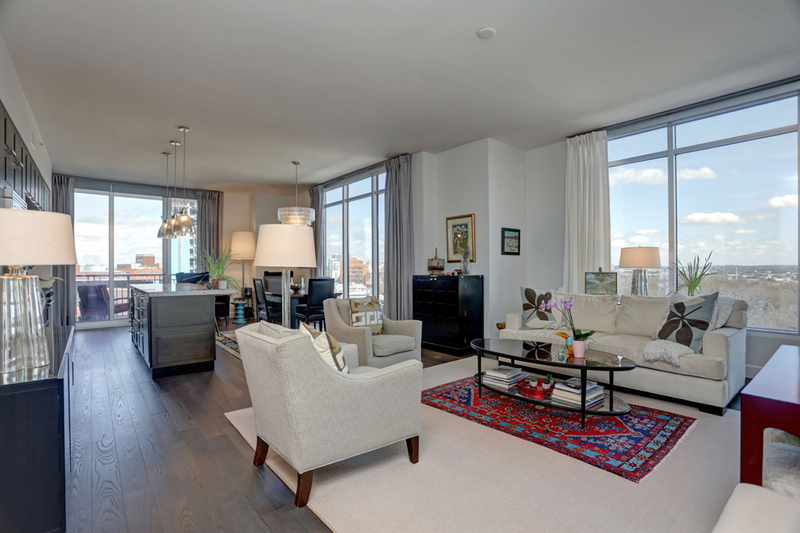 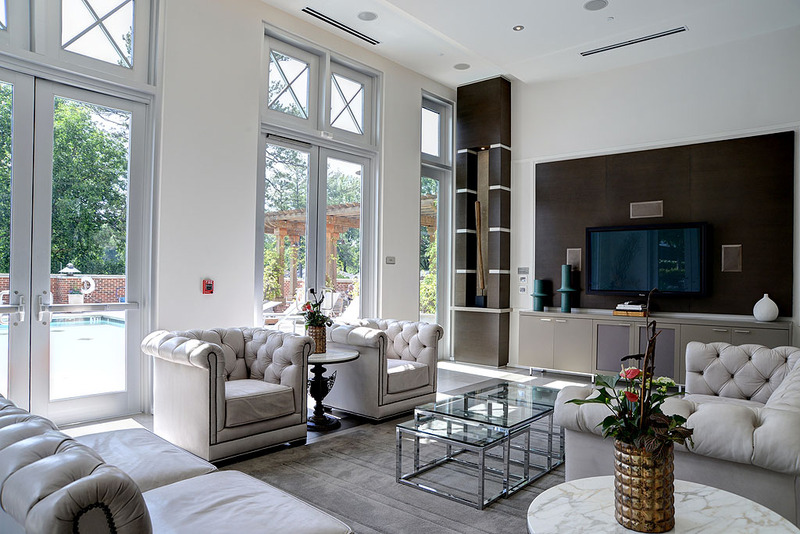 Other features include 10-ft ceilings, wide-plank hardwood floors, floor to ceiling windows, electronic blinds and custom closets. 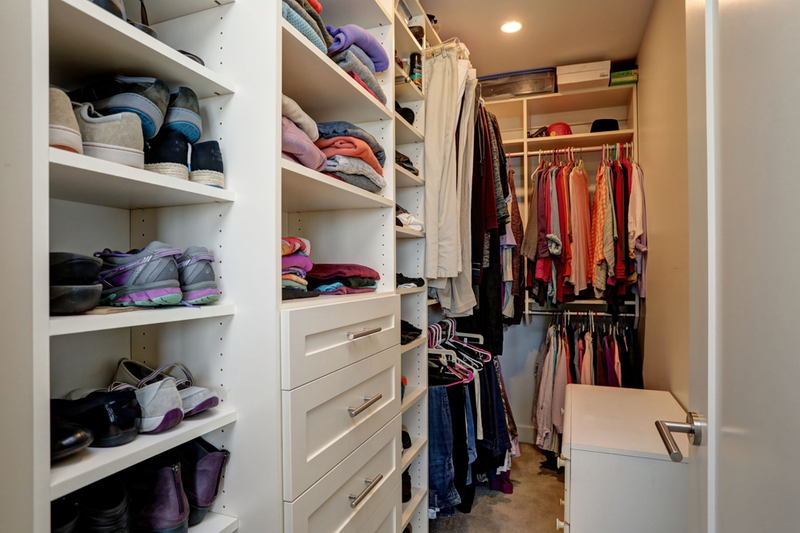 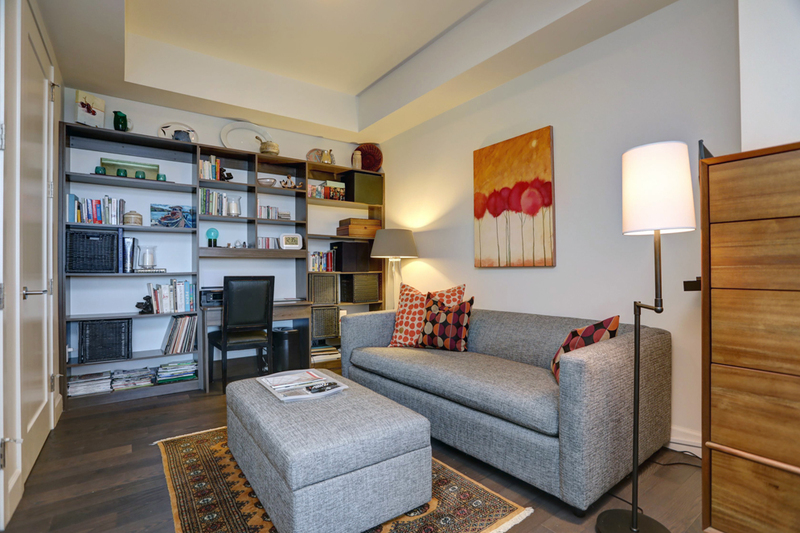 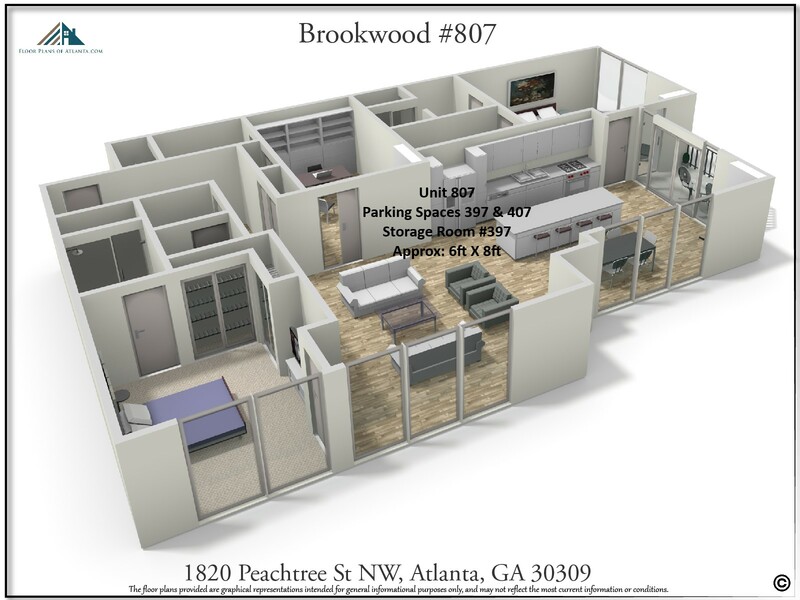 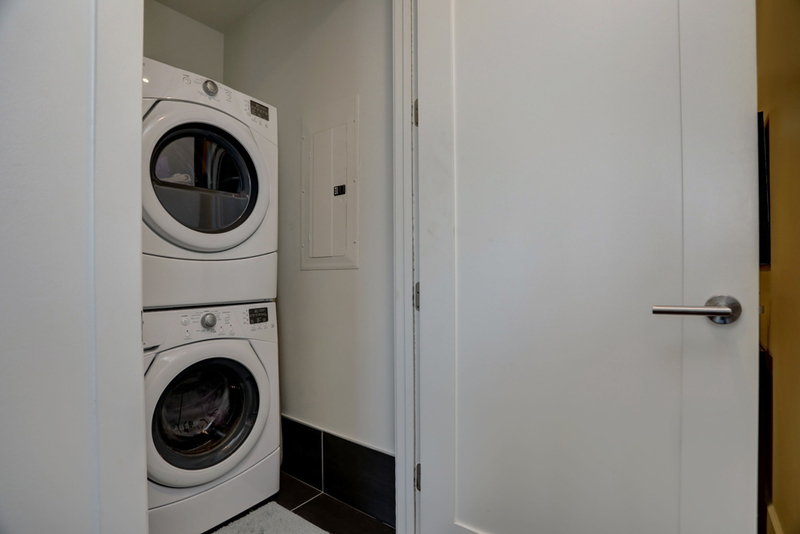 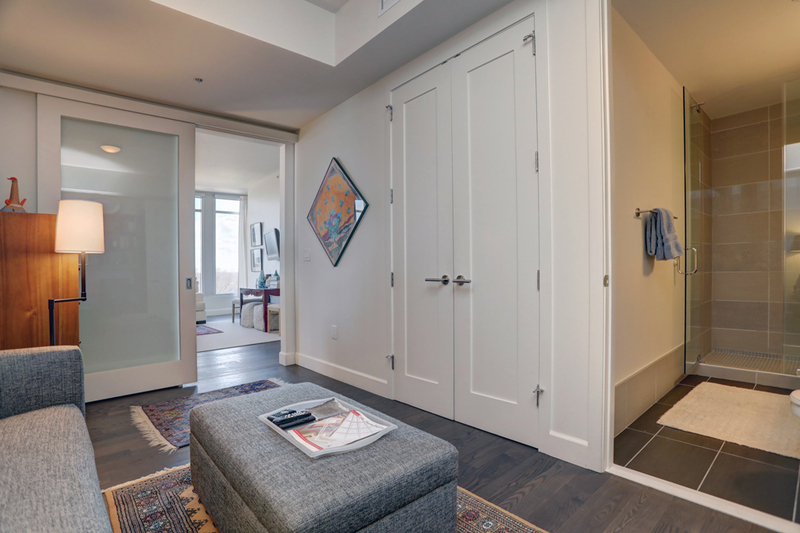 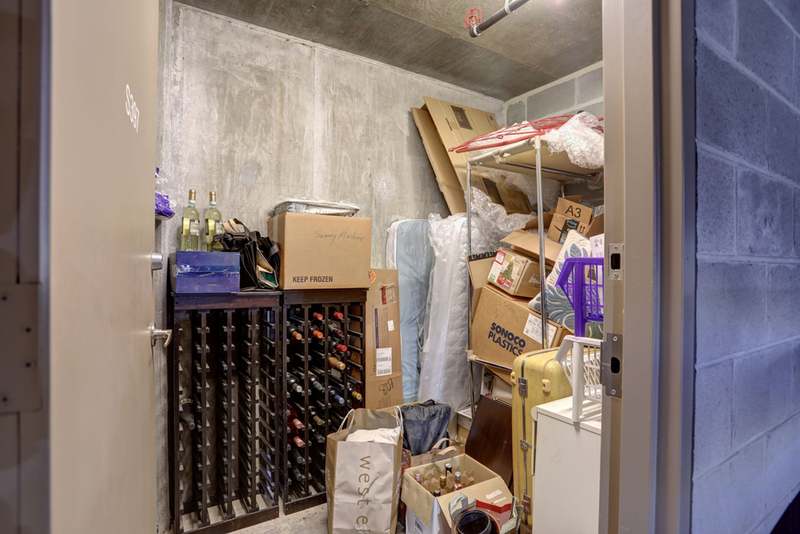 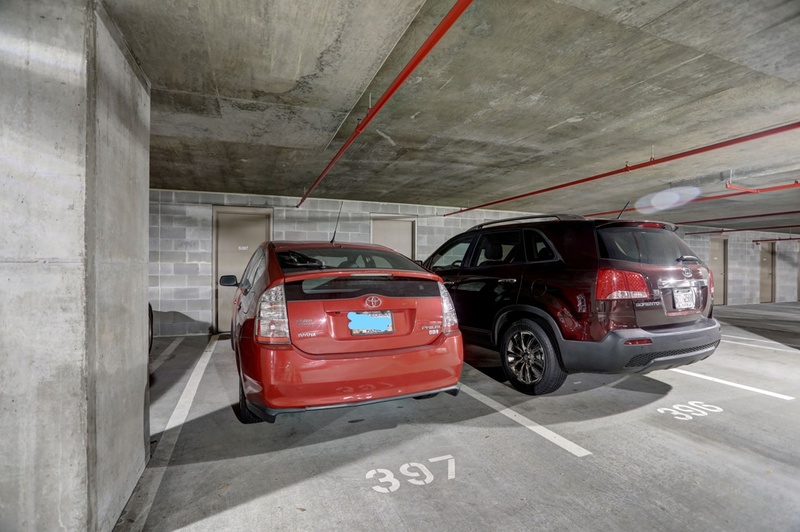 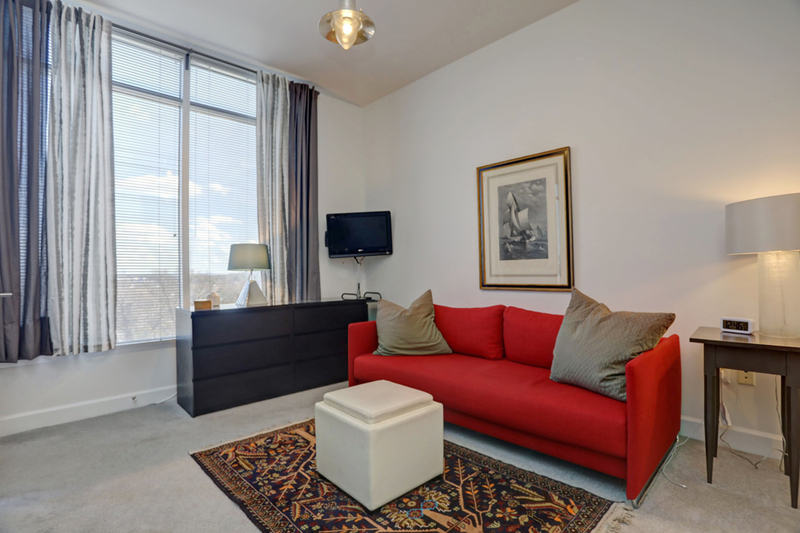 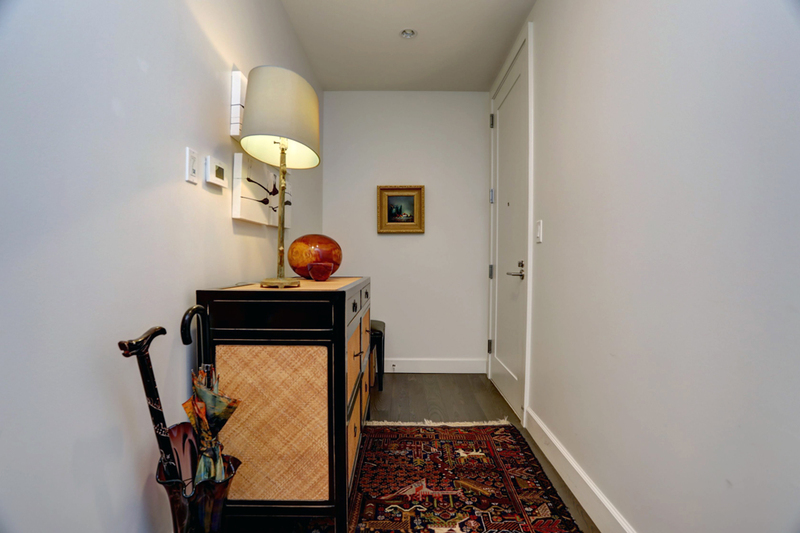 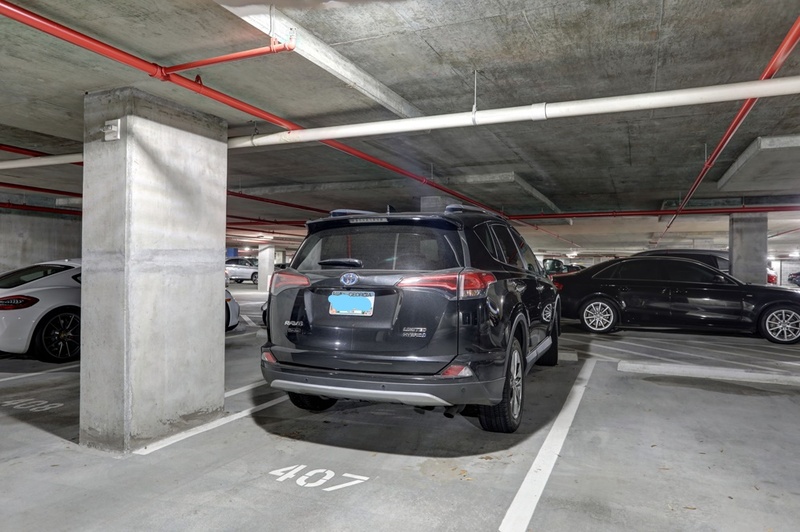 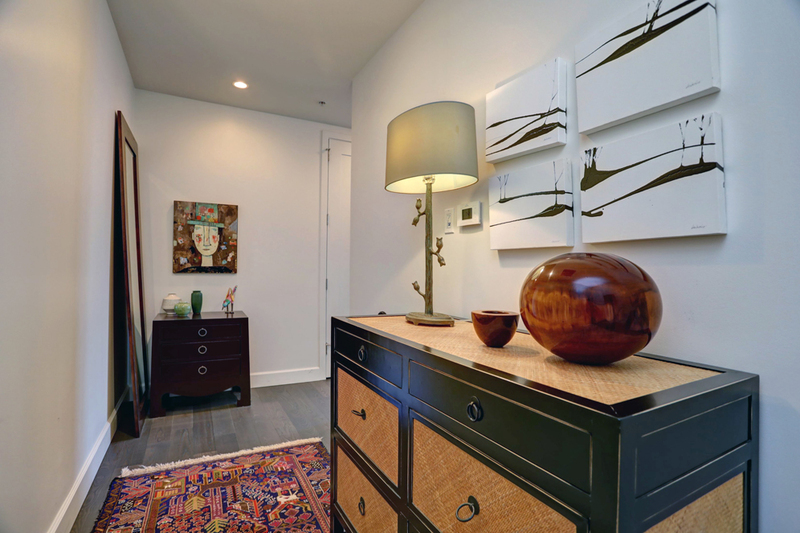 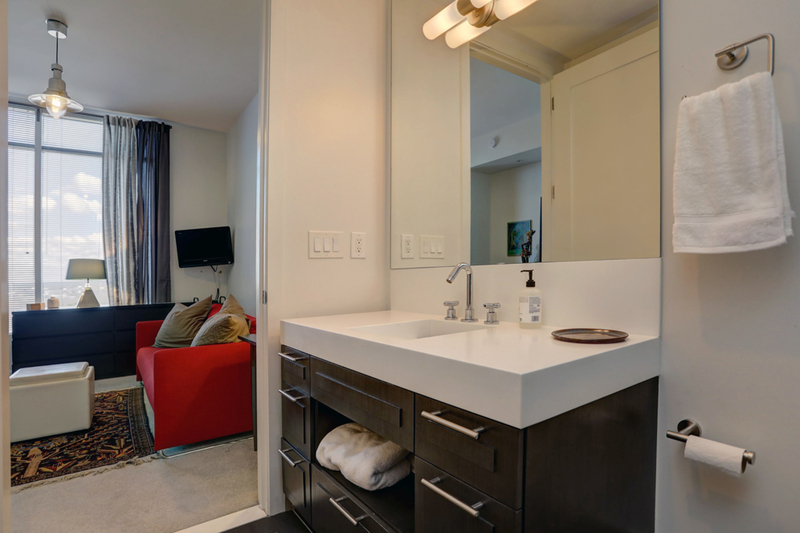 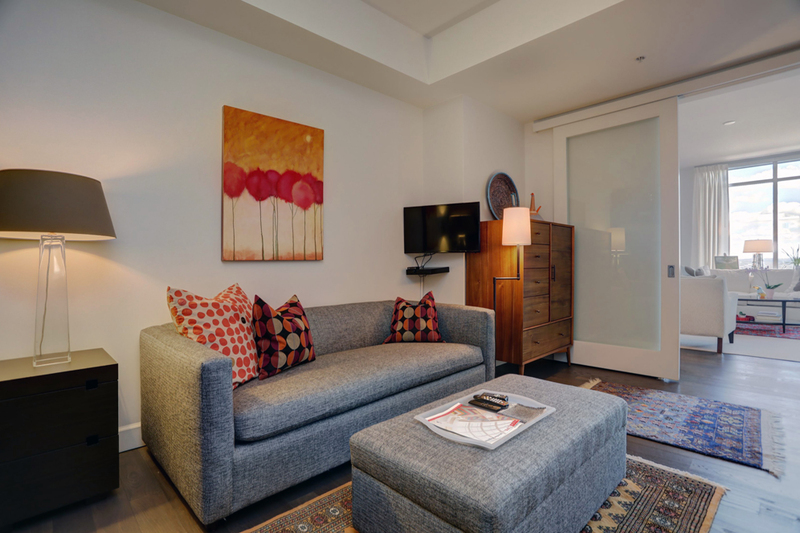 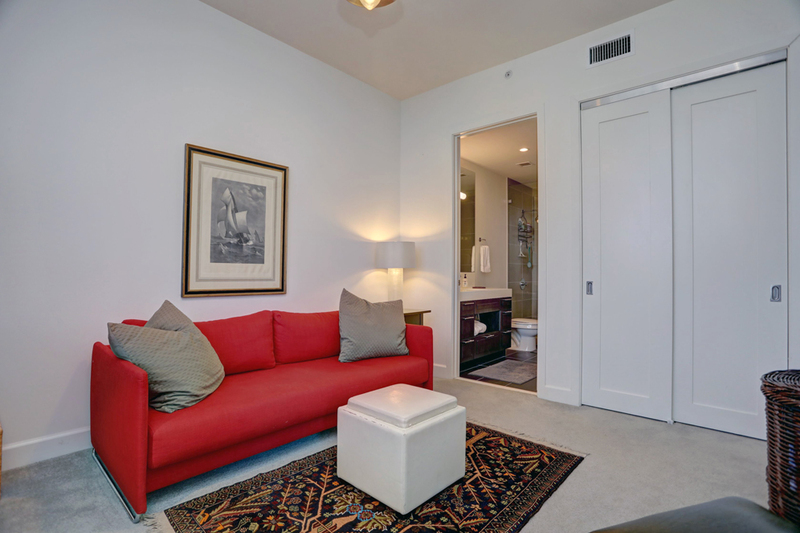 Unit 807 also includes a spacious storage room conveniently adjacent to one of the two assigned parking spaces. 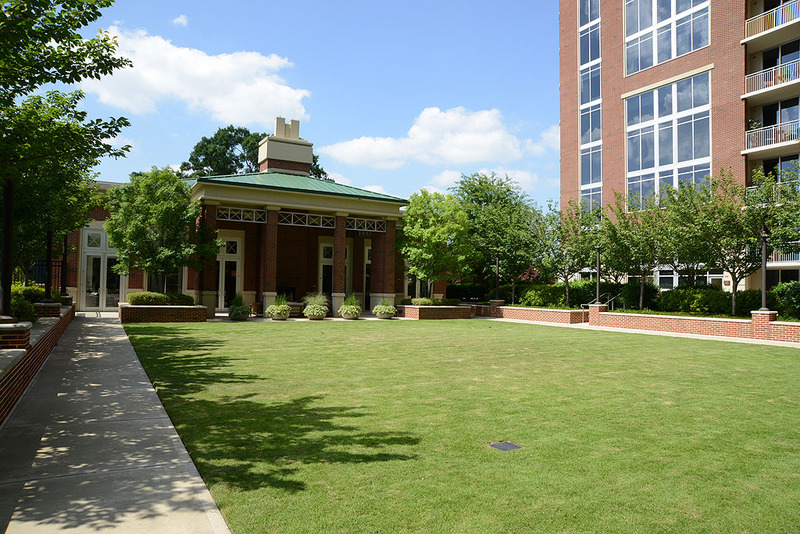 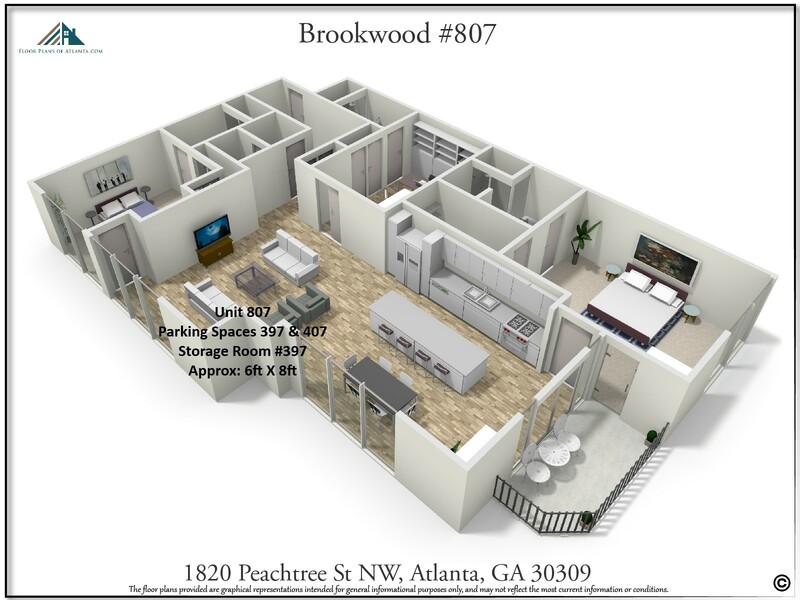 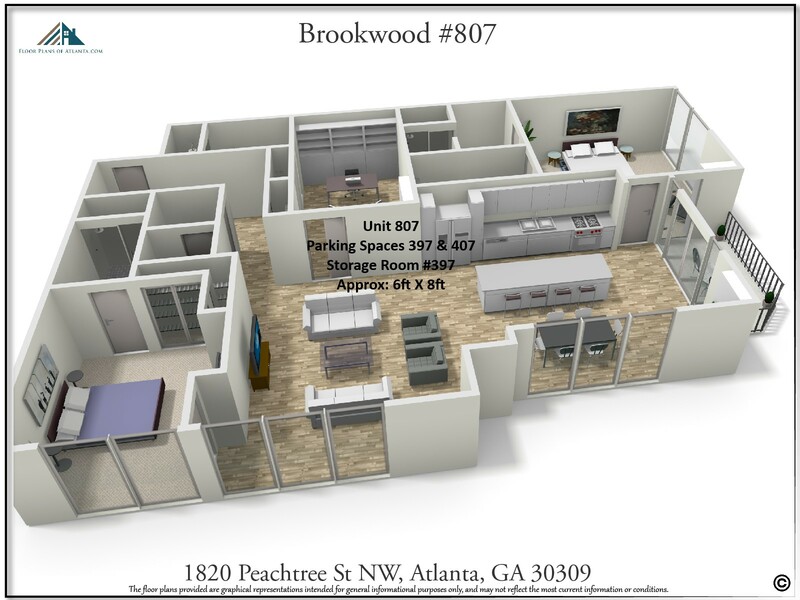 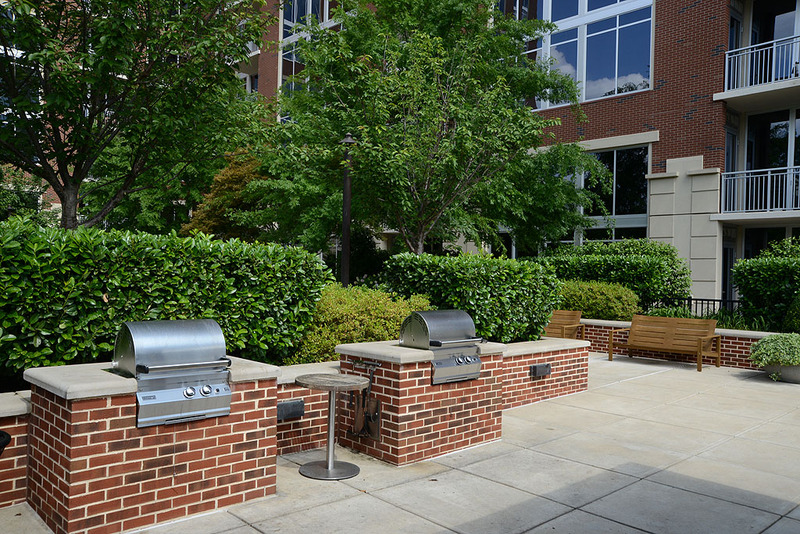 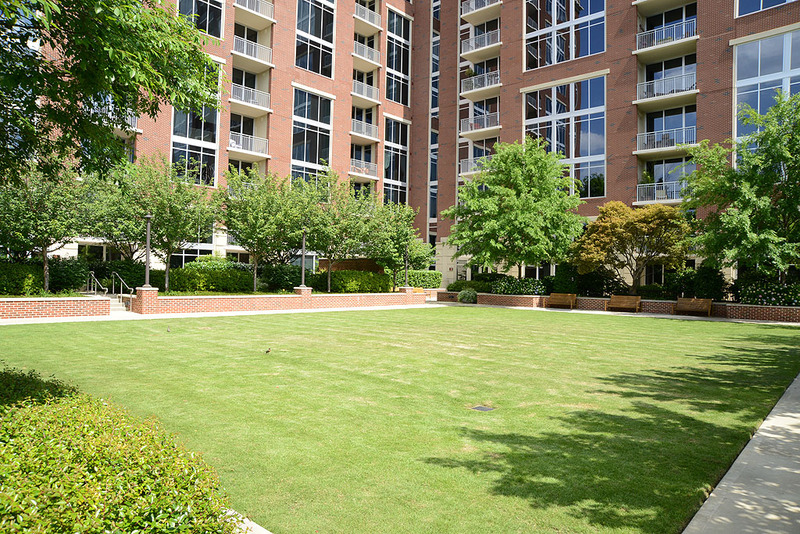 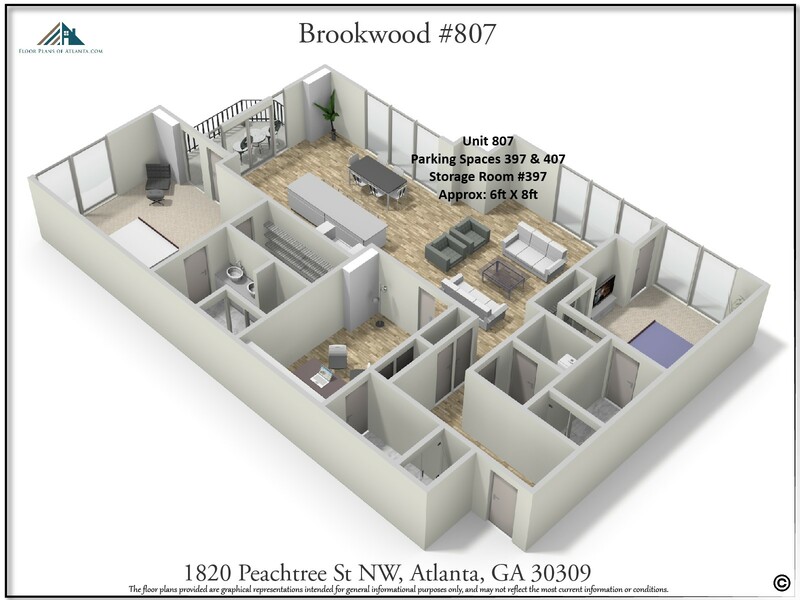 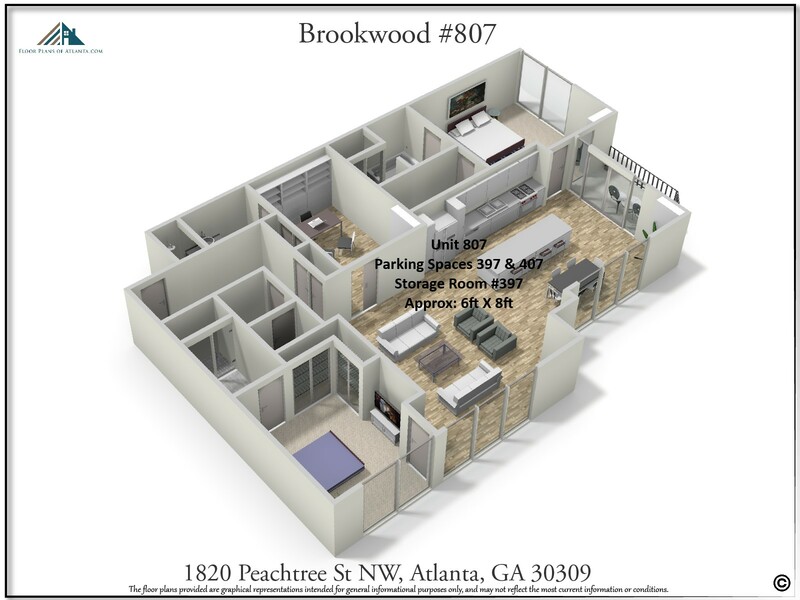 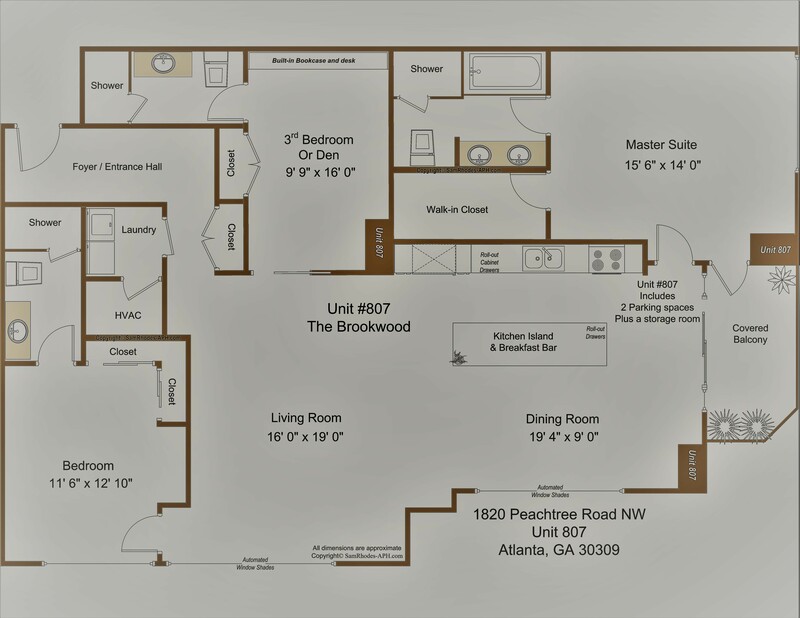 The Brookwood is in a terrific location and within walking distance of Buckhead and Midtown as well as the Beltline and Tanyard Creek Park just a few blocks away. 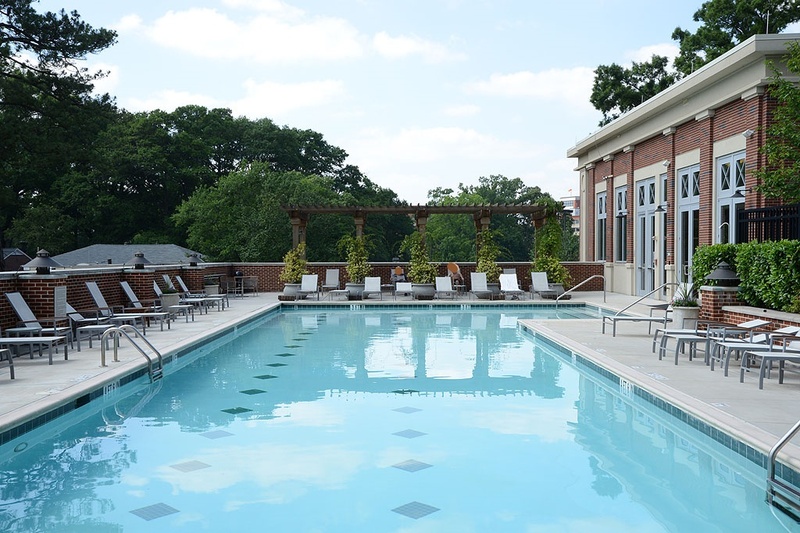 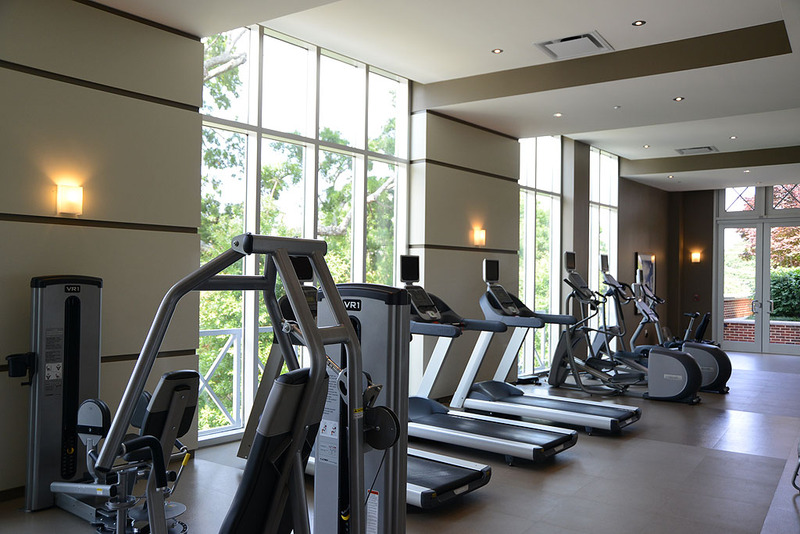 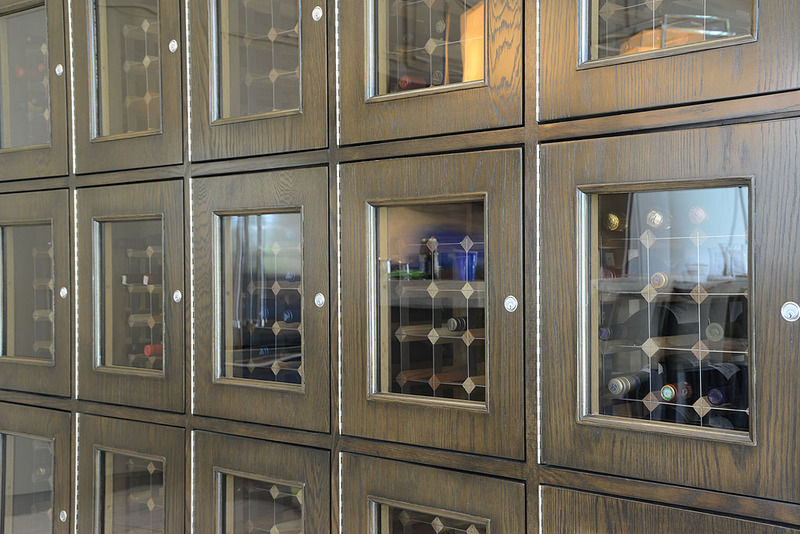 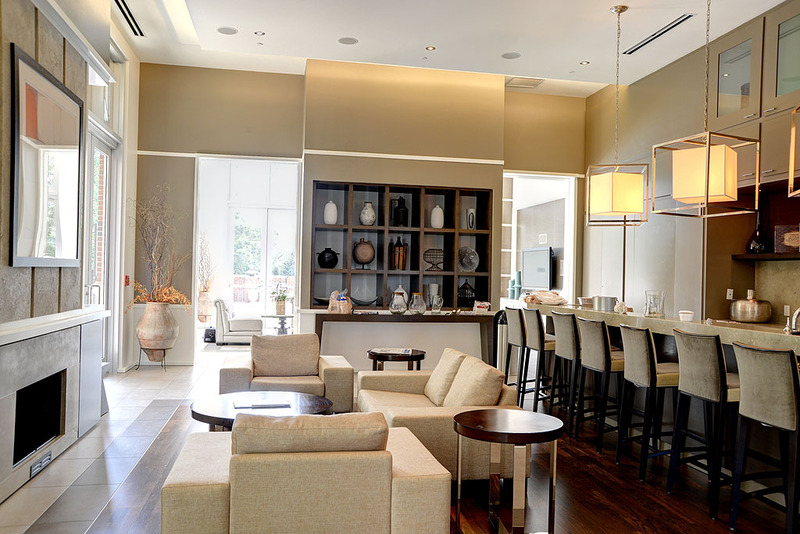 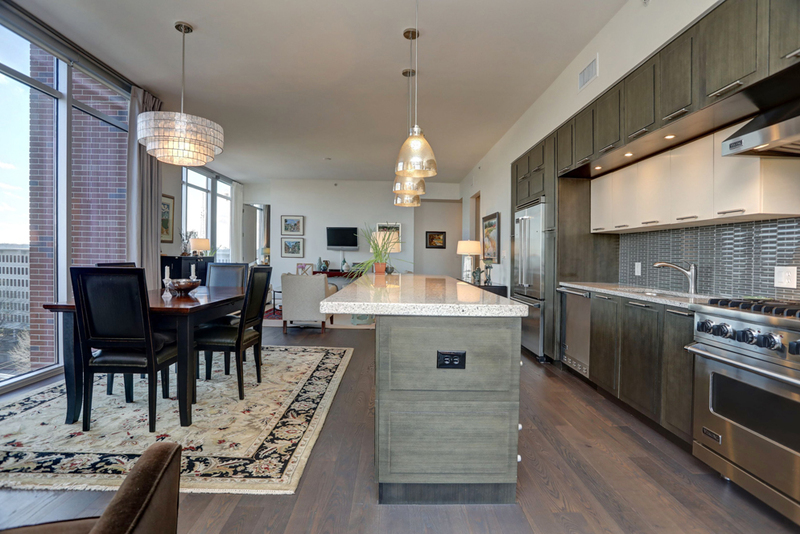 This amazing LEED Certified building includes tremendous amenities such as 24-hr concierge, salt water pool, fitness center, two guest suites, outdoor fireplace and grilling stations, dog walk, beautiful clubroom and more.